Recent studies from our laboratory indicate that engineered silver nanoparticles can inhibit aflatoxin biosynthesis even at concentrations at which they do not demonstrate antifungal activities on the aflatoxin-producing fungus. Whether such inhibition can be modified by altering the nanoparticles’ physical properties remains unclear. 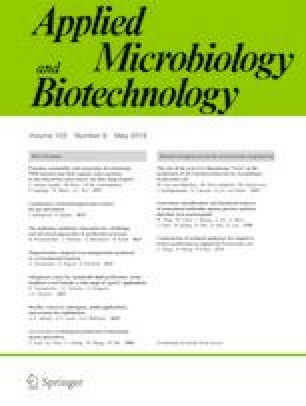 In this study, we demonstrate that three differently sized citrated-coated silver nanoparticles denoted here as NP1, NP2, and NP3 (where, sizes of NP1 < NP2 < NP3) inhibit aflatoxin biosynthesis at different effective doses in Aspergillus parasiticus, the plant pathogenic filamentous fungus. Recapping NP2 with polyvinylpyrrolidone coating (denoted here as NP2p) also altered its ability to inhibit aflatoxin production. Dose-response experiments with NP concentrations ranging from 10 to 100 ng mL−1 indicated a non-monotonic relationship between aflatoxin inhibition and NP concentration. The maximum inhibitory concentrations differed between the NP types. NP1 demonstrated maximum inhibition at 25 ng mL−1. Both NP2 and NP3 showed maximum inhibition at 50 ng mL−1, although NP2 resulted in a significantly higher inhibition than NP3. While both NP2 and NP2p demonstrated greater aflatoxin inhibition than NP1 and NP3, NP2p inhibited aflatoxin over a significantly wider concentration range as compared to NP2. Our results, therefore, suggest that nano-fungal interactions can be regulated by altering certain NP physical properties. This concept can be used to design NPs for mycotoxin prevention optimally. The online version of this article ( https://doi.org/10.1007/s00253-019-09693-3) contains supplementary material, which is available to authorized users. The authors acknowledge the student support provided by the Department of Environmental Health Sciences to Chandrani Mitra that was critical to the completion of this research. The authors also thank Drs. Mohammed Baalousha, Alan Decho, and John Ferry for the helpful suggestions during various stages of this research. Conceptualization: AC and JL; methodology: CM, PMG, RM, MHO, and RJ; validation: CM, PMG, MHO, and RJ; formal analysis: CM, PMG, RM, MHO, RJ, JL, and AC; investigation: CM, PMG, RM, MHO, and RJ; resources: JL and AC; data curation: CM; writing—original draft preparation: AC and CM. ; writing—review and editing: AC and JL; supervision: AC and JL; project administration: AC; funding acquisition: AC.